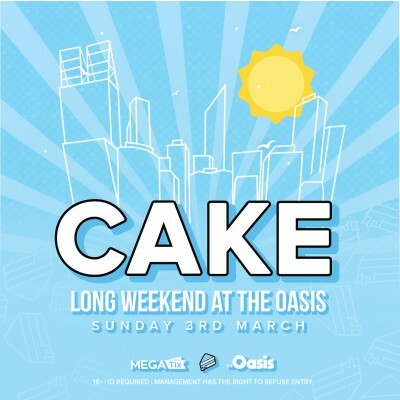 Our last CAKE Blockparty on Aus Day Long Weekend at The Oasis was Off the Hook. We are going to do it again, bigger and better for the next Long Weekend Sunday at the same venue. This event will sell out and we will Cake it up with the hottest DJs in town baking the party vibes!